Slideshow: It might have had 1990s E-Class headlamps, but nothing else about the AMG CLK GTR was remotely ordinary. Until AMG’s new Project One hypercar is delivered to its first customers in the very near future, the CLK GTR remains the ultimate Mercedes-Benz supercar. Built as a counter to McLaren’s F1, with a specific aim of winning at Le Mans in the late 1990s, these CLK GTRs are amongst the rarest of all German high-performance road cars. Effectively a homologation special, to enable the Le Mans racing team, AMG only built 25 GTRs. Compare that to McLaren’s total road car production number of 71, and you start to understand why the Mercedes has potential to become more collectible. As you learn in first-year college economics, the first law of the market: is scarcity. The design altered perceptions about Mercedes-Benz as a brand. 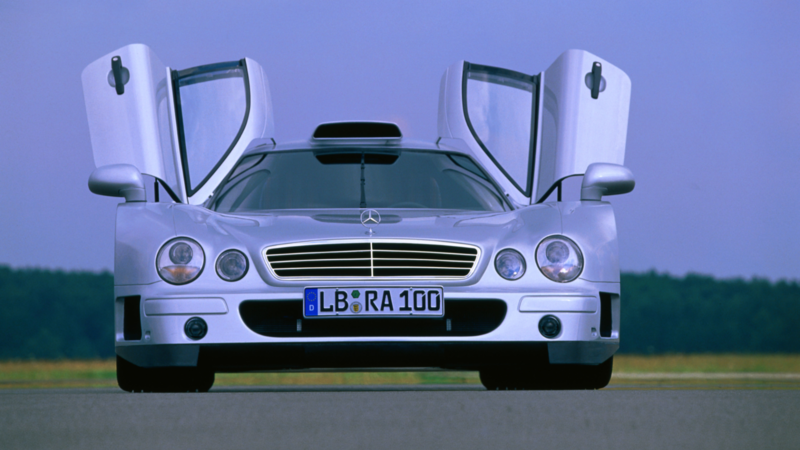 In the late 1990s, AMG was still a little-known subsidiary and although the CLK GTR featured round headlamps from the E-Class and a three-pointed star on its hood, it looked like nothing else Mercedes-Benz had ever built. Look at the roof scoop and those wing doors. It was an outlandish design for Mercedes-Benz. The privilege of one also came with an astounding price, which was $1.5m when it went on sale, briefly, in late 1998. You would be very lucky to find one today, for that price. Last year, at the Monterrey auction hosted by RM Sotheby’s, a CLK GTR sold for $4.5 million. >>Join the conversation about the CLK GTR right here in MBWorld.org. What is the value proposition we are suggesting with these CLK GTRs? Well, because they are rarer than a McLaren F1, you would expect them to be more expensive – but they aren’t. McLaren prices have gone crazy, with examples trading for between $15- and $20m. You could get a CLK GTR for a third of that, but it is not as easy to find one, because there are less of them around. As such, it is an event to encounter one. 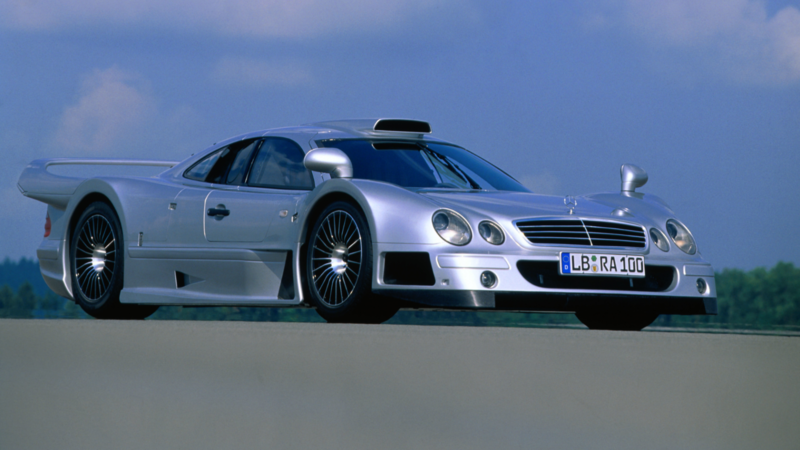 In the search for 1990s German-powered supercars, the CLK GTR is your stealth value option. And it has a radical rear wing, too, which the McLaren F1 does not. What makes the McLaren F1 and AMG CLK GTR such interesting rivals is that they are both powered by huge German V12 engines. The McLaren F1's engine was, of course, built on commission by Mercedes-Benz’s fierce rival, BMW. 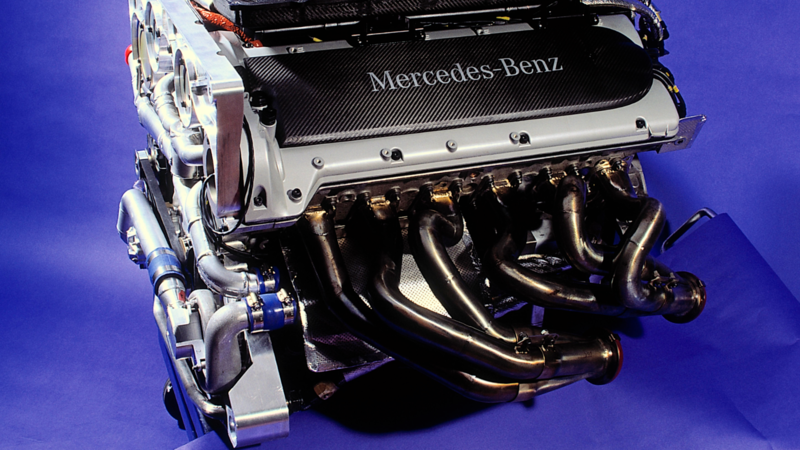 To counter the Bavarian V12 supercar engine project, Mercedes constructed a massive 6.9-liter V12. 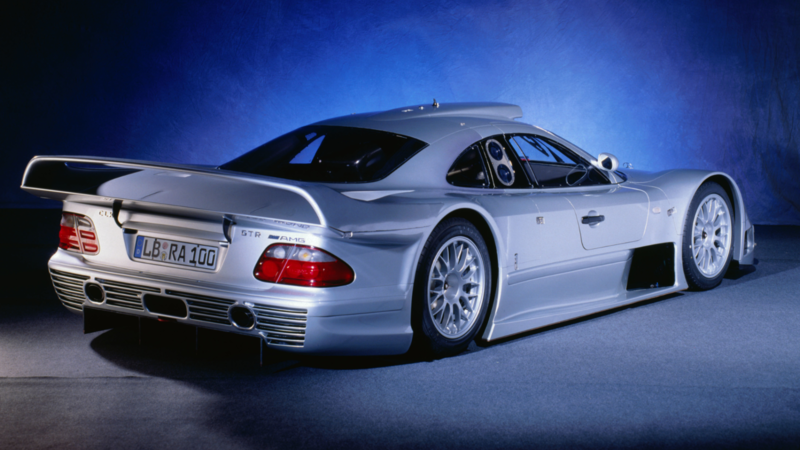 It produced 604hp, which was enough to power the CLK GTR to a top speed of 214mph. The Sultan of Brunei even ordered a one-off version of the CLK GTR, with an even larger V12, which measured 7.3-litre in capacity and produced 655hp. The rarest of all CLK GTRs are the roadsters. Only six of the CLK GTRs ever built were roadsters. Featuring a different grille, with the three-pointed star mounted within it instead of on the hood, the roadsters were 230lb heavier than their fixed-roof siblings. They also had structurally reinforced headrests, which acted as an active safety feature in the case of a rollover, performing the function of a roll hoop. For those who truly wish to savor the sound of that naturally-aspirated 6.9-litre V12, the roofless roadster allows for a front-row seat like no other. There is of course also the collectability of its unique configuration to consider, as McLaren never built a roofless version of the F1. 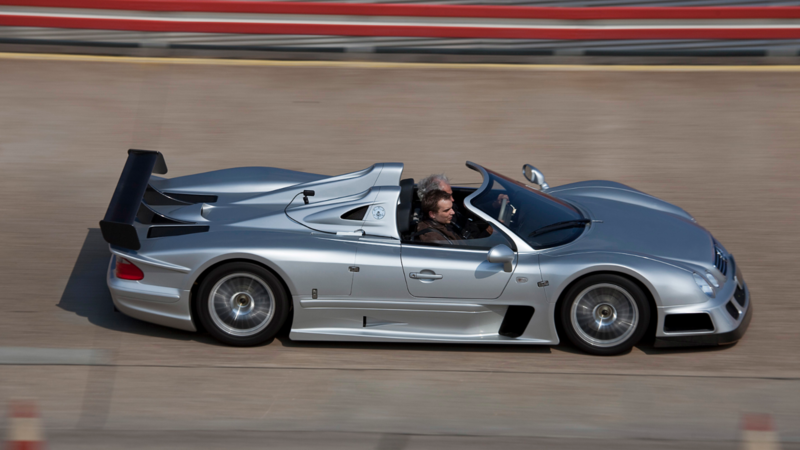 Another reason why the CLK GTR can be classified as a connoisseur’s choice amongst the two 1990s supercar icons.